According to The Chamorro Dictionary by Donald Topping, “mumun linahyan” is a way of saying “revolution.” If we break it down we can see the genesis of this rarely used term. Mumun derives from mumu meaning fight. Linahyan means crowd, group, masses. Mumun linhayan is an idea of revolution as being a large scale uprising, the masses or a large group of people coming together and standing up for change. It is interesting to think of the different moments in Chamorro history where people may have come together on such a scale to effect change? This also begs another question. This idea of revolution as being the rising of the masses, may perhaps be an outsider’s perception, based on the image of native populations rising up against their colonial masters. This image of mumun linahyan was seen throughout the earlier period of Guam’s history, with Hurao, Agualin and Hula all creating large coalitions of rebels that marched on Hagatna to eliminate the foreign threat. It is interesting to think how this might have come to be the way Chamorros discuss it? Was it a remnant from the Spanish or something of the way Chamorros saw their own past? Many people who discuss these sorts of things, make lots of assumptions on how Chamorro language work with little understanding of Chamorro language, Chamorro history or how languages work in general. There are many possibilities of how this word could have come about. What I wonder though is what are other ways that we can conceive of “revolution” in the Chamorro language? There are words that we can bring in from the Spanish, there are also ways that we can see it in a more ancient Austronesian context. There are also ways we can bring in versions of revolution as articulated from groups around the world, other native peoples, progressive groups, even the Zapatistas. I am hoping that in a small way, this blog can contribute to the discussion of revolution from a Guam, Chamorro perspective and see what ways we might imagine it in the future. 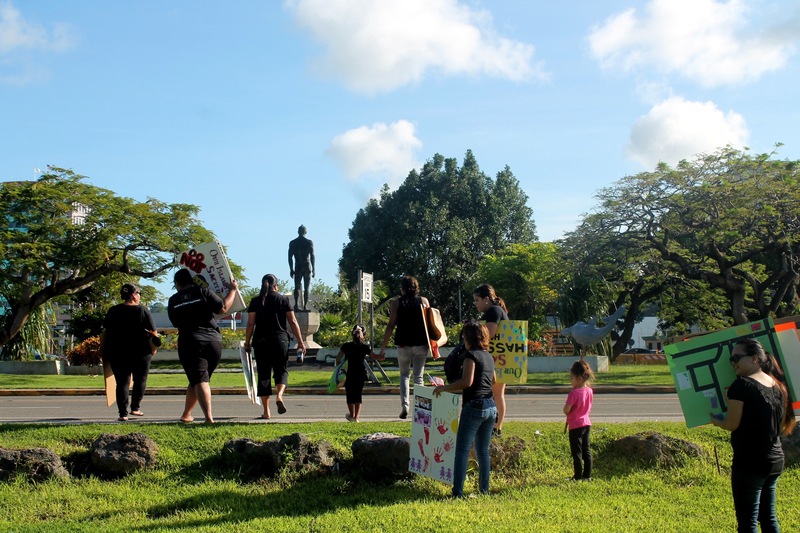 Tags: dictionary, fino' chamoru, hagatna, kepuha, protest. Bookmark the permalink. Still, the posts are too quick for novices. May you please lengthen them a bit from next time?